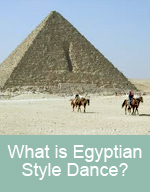 Shahrahzad Belly Dance - What is Egyptian Dance? 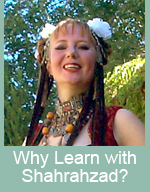 As you may know "Belly Dance" or Raqs Sharqi ("Dance of the East") has its origins in the Middle East. Originally a folk dance, it has evolved into a powerful and elegant art form, performed to some of the most beautiful music created. What we call the "Middle East" is a very large place and it makes sense that there would be many differing styles of dance from one area to another. Shahrahzad specializes in the Egyptian style of belly dance, a form that emphasizes grace with power, and subtetly with deep emotion. It is expressive and exhilarating. It does not concentrate on "tricks" or athletic movement, rather focuses on the poetry and art of the human body, its expressive and dramatic side. Don't think that this means it is easy! It takes work to make dance look effortless and meaningful. We work hard, we have fun. We dance Egyptian! But Shahrahzad teaches MORE. We learn the North American styles of belly dance as well: floor work, veil, candles, Isis wings, sword PLUS fusion is one of Shahrahzad's favorite things to choreograph. On the solid base of Egyptian dance technique, we are free to to anything! Summer Classes Start the week of July 13!